and aneurysmally dilated left and right coronary arteries giving horizontal figure of eight appearance [Figure 2]. There was no evidence of aortic regurgitation (AR) or hypertension. Cine angiogram showed malaligned type of ventricular septal defect with aortic override and a well-developed left ventricle (LV) [Video 2]. An aortic root angiogram revealed dilated coronary arteries and no evidence of AR. Selective coronary angiogram showed aneurysmally dilated left coronary artery with contrast entering the left ventricle almost immediately [Video 3]. This confirmed the presence of coronary artery fistulae draining from left coronary artery to left ventricle. Selective coronary angiogram of right coronary artery also showed a dilated right coronary artery. We here describe rare association of Cor triatriatum and coronary cameral fistulae with tetralogy of Fallot (TOF). All these defects were diagnosed preoperatively with help of echocardiography. Divided left atrium (LA) or Cor-triatriatum is a rare cardiac malformation in which LA is divided into two portions. Its association with TOF is extremely rare with only one case diagnosed preoperatively till date. Coronary cameral fistulae in a case of TOF are also uncommon. Despite having inflow obstruction of left ventricle and presence of TOF his LV was relatively well developed. Identification of divided LA in such a case preoperatively is of immense important because successful repair of these defects can be carried out during repair. Failure to do so can result in death from pulmonary edema. 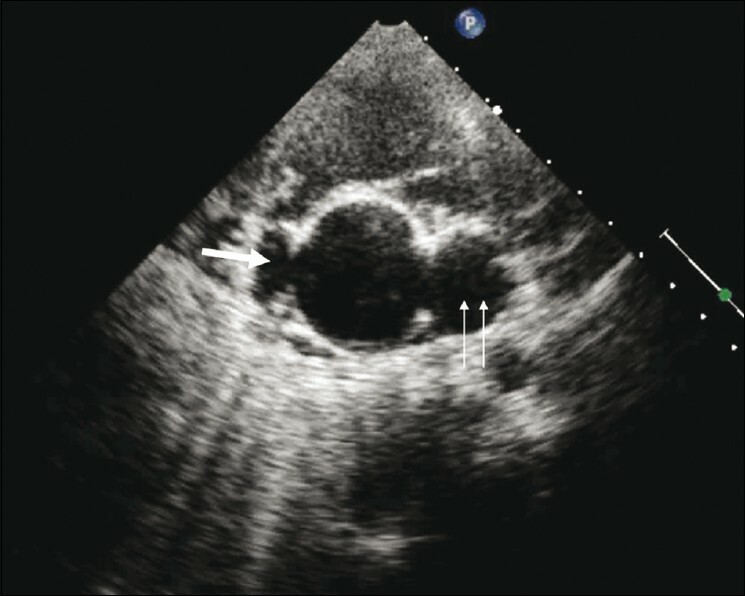 This is because surgical repair of tetralogy results in worsening of the previously unsuspected pulmonary venous obstruction associated with divided left atrium, since pulmonary blood flow is now unobstructed. Congenital communications between coronary arteries and cardiac chambers are rare. The receiving chamber is most commonly on the right side of the heart and fistulous drainage into the left side of the heart is extremely rare. In the present case, coronary fistula was draining into the left ventricle. These fistulae represent persistent junctions of primordial epicardial vessels with intramyocardial sinusoidal circulation. Rao et al. have described similar drainage of coronary arteries into the left ventricle through fistulous communications in absence of coronary sinus. However, coronary sinus was present in this case. We call attention to this rare combination of anomalies and it's clinical importance. 1. Binotto MA, Aiello VD, Ebaid M. Coexistence of divided left atrium (cor triatum) and tetralogy of Fallot. Int J Cardiol 1991;31:97-9. 2. Carroll SJ, Soloweijczyk D, Gersony WM. 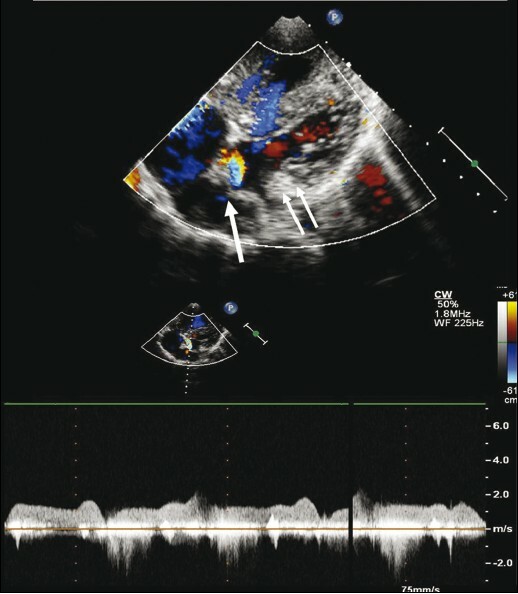 Preoperative diagnosis of co-existing divided left atrium and tetralogy of Fallot. Cardiol Young 2004;14:456-9. 3. Hauser M. Congenital anomalies of the coronary arteries. Heart 2005;91:1240-5. 4. Hoffmann JI. Congenital anomalies of the coronary vessels and the aortic root. In: Emmanoulides GC, Riemenschneider TA, Allen HD, Gutgessel HP, editors. Heart disease in infants, children and adolescents. 5 th ed. Baltimore: Williams and Wilkins; 1995. p. 780. 5. Rao CV, Raghu K, Sharada K, Jaishankar S. Absent coronary venous sinus: A rare anomaly. Indian Heart J 2001;53:352-3.